Got some new toys yesterday so I couldn't wait to play with them. This image is from the Mini Couture set by Dyan Reaveley. I wanted to play along with the ColourQ challenge, which is Rich Razzleberry, Black and Gold option, but I don't have a corresponding Distress Ink so I used Memento Sweet Plum. Memento inks aren't as good as Distress inks for sloshing around on the card that I use, as they soak in quicker. But, hey, you just get different results! The sentiments are from Winnie & Walter The Big The Bold And The You, so I'm also entering it in their Join In To Win challenge. Love this card. You may not have the distress ink but the memento ink worked perfectly. Very very eye catching, such a talent. That is a stunning card Shirley! So strange, I thought I left a comment on this post the other day. I could have sworn - I remember liking the white embossing and all the watercolouring. How weird. Anyway, I came back around to say that I was so touched by your lovely comment on my April Tag for Tim Holtz' 12 Tags today - you made my day! Lol - Nevermind, I see what I just did - I thought I was posting on the comment form for the post above this one. I did post a comment on the one that I was talking about earlier. Sorry - stupid day at the tincan farm today! 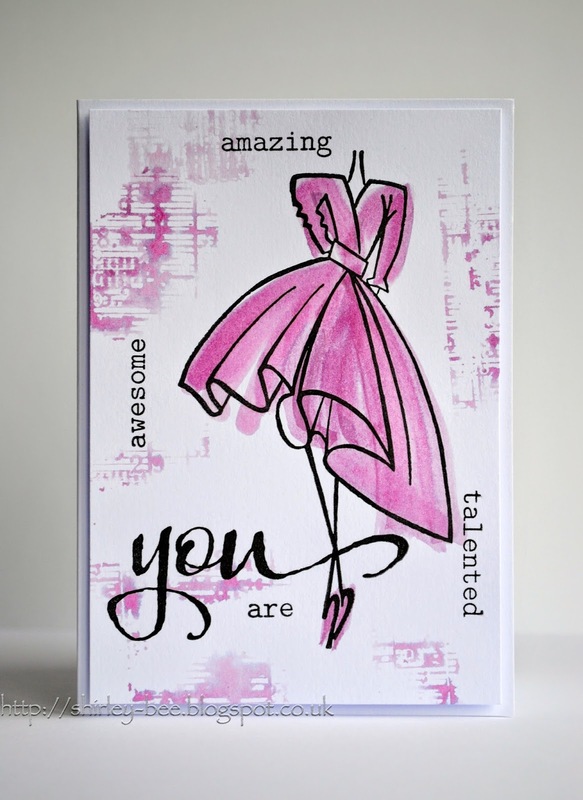 I would love to see how you did this--Fabulous card! I love this card!!!! That image is so cool! Great job! I say you are awesome, amazing, and talented- Miss Shirley-Bee. I just love how the ink looks on the card! 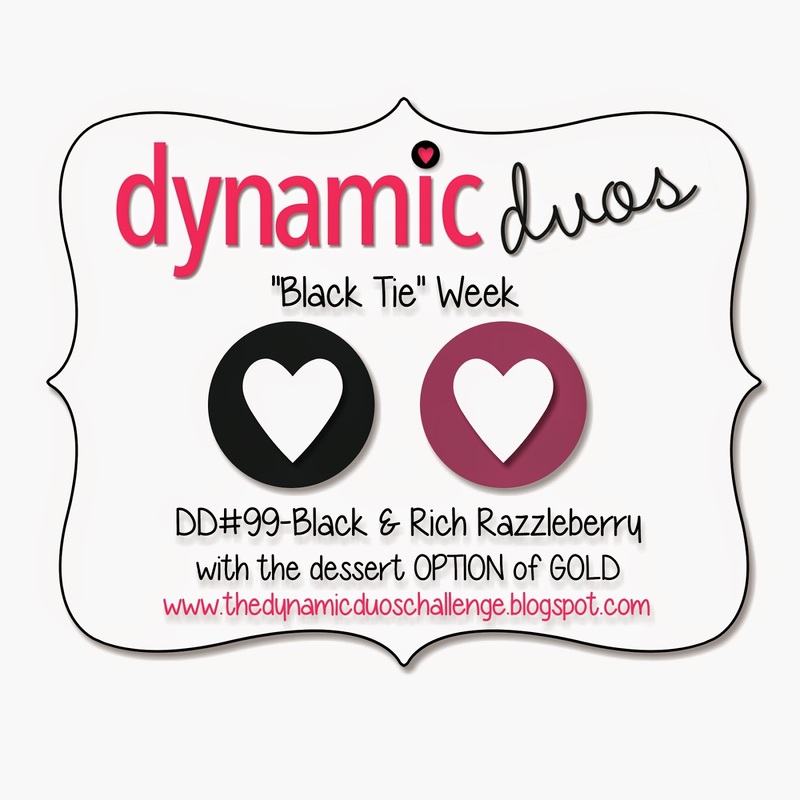 TFS with the Dynamic Duos this week! Fabulous stamping! Love that dress and your beautiful watercoloring! Thanks for joining the DD! Congrats on your DD shout-out - just fabulous, this card! This is gorgeous Shirley! You are going to rock the Watercolour Class! I really need to get some of these beautiful images. I LOVE this, it's totally fabulous! Love this. Everything about is great.